Book Your Physio Online 24/7 Today! In Pain And Need A Physio? Don’t want to wait 8 weeks for your physio appointment? 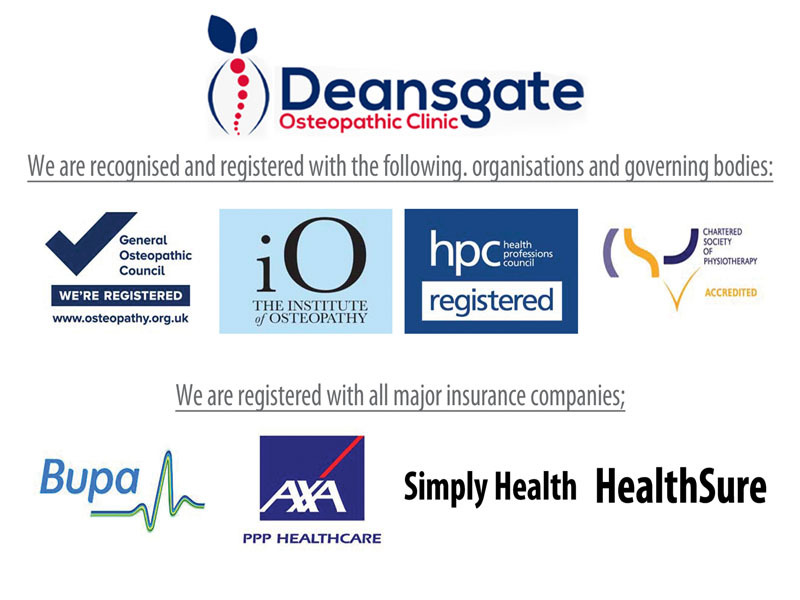 Here at Deansgate Osteopathic Clinic Tel:01204 522133 we have proven experienced Physio’s to help you get back moving. Recognised and available through BUPA, AXA PPP, Simply Health, pretty much any insurance company that offers physiotherapy. 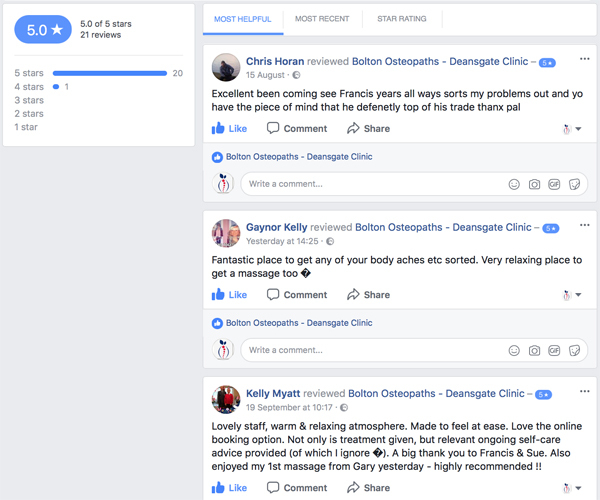 Our Bolton Physio’s are very experienced with in the sports injury field working with professional and amateur competitors, also with extensive knowledge working with work related injuries. Back pain, Sciatica, RSI, Hamstring Pulls, ITB injury, Whiplash and many more.. We are a hands on approach physiotherapy clinic. We look to get you moving quickly and safely so you can carry on with your sports. Some of the techniques we use are manipulation, mobilisation and massage. Exercise and rehabilitation to improve strength, flexibility and mobility whilst also offering preventative advice to minimise future injury. Is this your first time having physio, or maybe you have had a bad experience somewhere else which you don’t want to repeat? Well don’t worry – if you are not satisfied with the quality of your physio here in Bolton we will refund your fee’s. Not sure there is no clear end point with no indication of total cost? Well don’t worry, we will recommend the required number of treatments discussing the what, why and how to move forward. Concessionary discounts costs for OAP’s, Students and unemployed, recognised by all major insurance companies BUPA, AXA PPP, WPA please check you terms and conditions as some insurance companies charge you an excess. 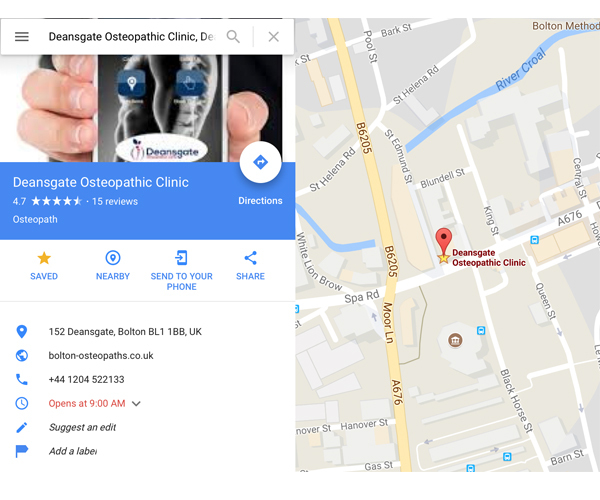 Experienced and effective treatment from proven a Physio in central Bolton, located on Deansgate close to the old Post Office.